Public bus leave everyday from San José at 6:15 a.m., 8:40 a.m. and 11:30 a.m. and trip takes 4.5 hours. From La Fortuna to San José: at 12:45 and 2:45 p.m.
You need catch a bus from Liberia to Cañas (1 hour) | Cañas to Tilarán (45 minutes) and from Tilarán to La Fortuna (3 hours). You can go from Monteverde to La Fortuna or Arenal Volcano (remember La Fortuna town is the center of Arenal Volcano area), by Public Bus, Jeep Boat Jeep, by horse or hiking through the forest. Fast way, trip takes 3 hours and pickup is at 8:00 a.m. and 2:00 p.m. 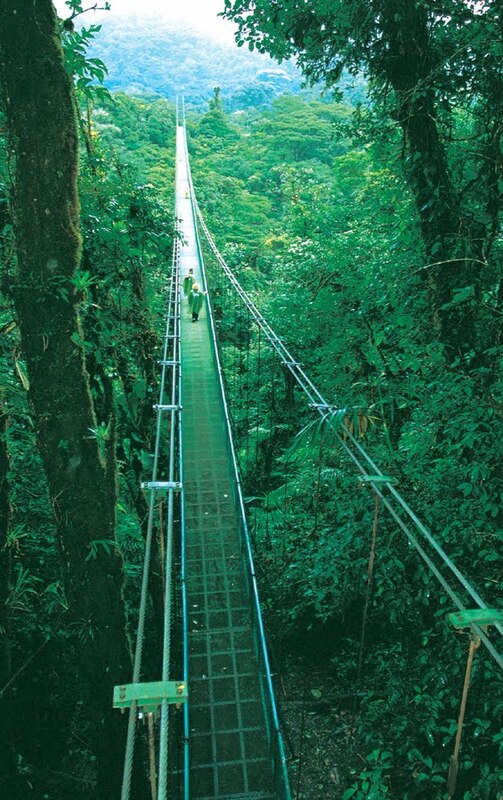 Going between Monteverde & the Arenal Volcano-La Fortuna? Want an unique Adventure along the way? Two days tour with overnight camp. This is the cheaper option, but longest way. You leave from Monteverde at 7:00 a.m. and you get to La Fortuna at 4:00 p.m.
Catch the bus from Monteverde to Tilarán in the corner of the National Bank in Santa Elena Center, bus leave at 7:00 a.m. This bumpy 40 km takes 3 hours. You get at 10:00 a.m. at Tilarán. Wait here 2.5 hours and 12:30 leave the bus to La Fortuna, you travel around of the Arenal Lake, it's panoramic, but you get between 3:30 p.m. to 4:00 p.m. to La Fortuna.